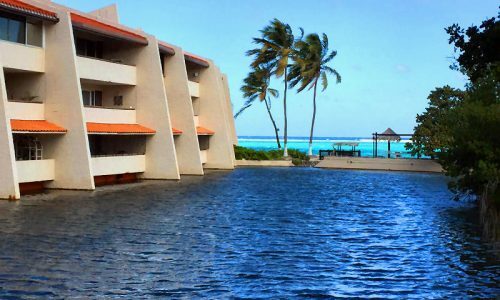 All you need to bring is your bathing suit and smile. 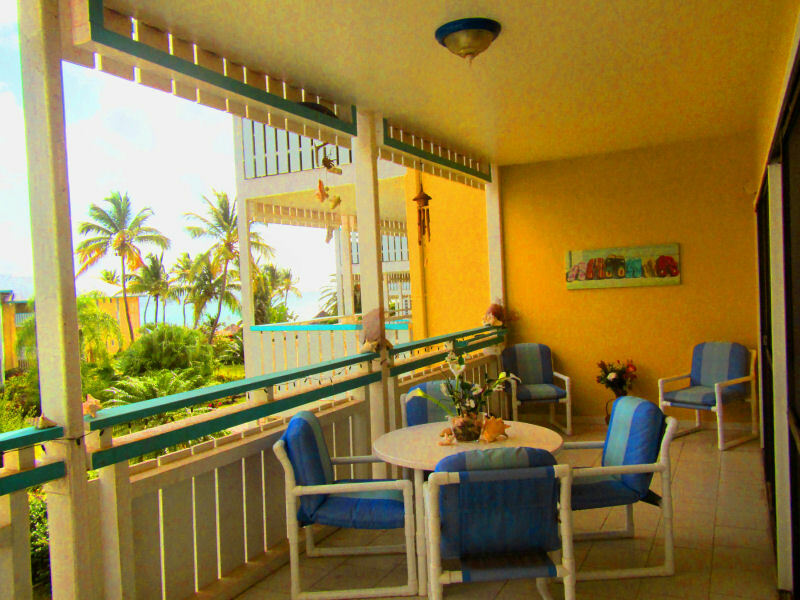 Your gallery provides views of our pool, gardens and the sea. 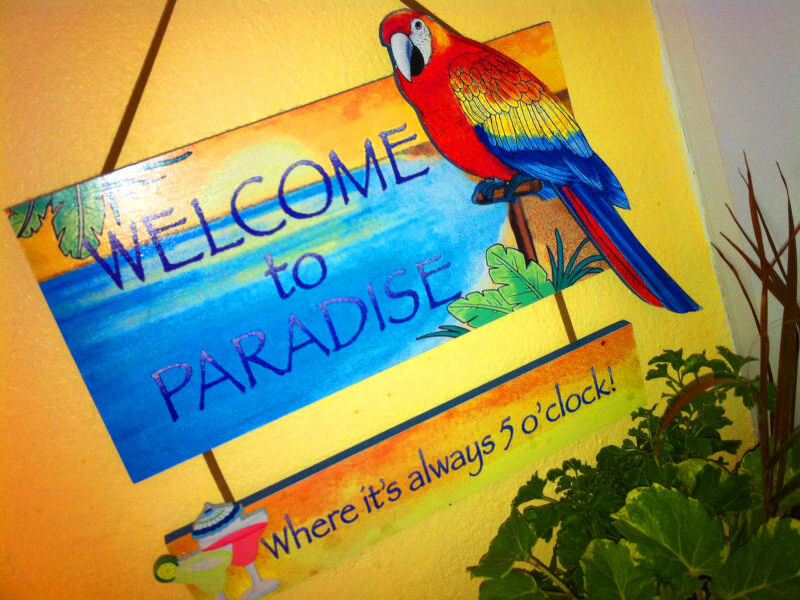 Our gardens contain a variety of beautiful flowers, fresh herbs and fruit trees which you are welcome to enjoy. 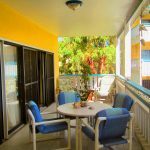 Grill your dinner poolside on the gas BBQ or dine at one of two restaurant/bars within walking distance. 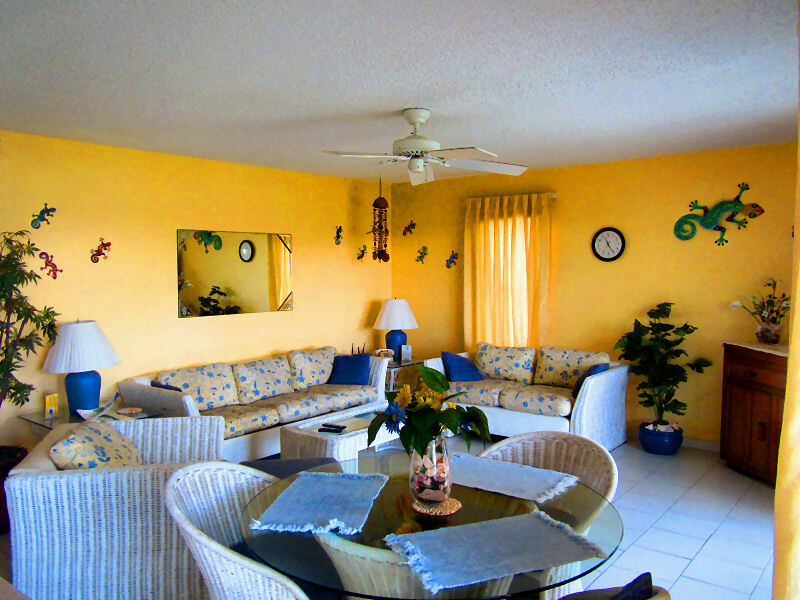 Colony Cove is a private gated complex, with onsite management & staff. 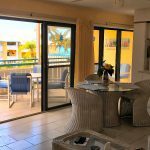 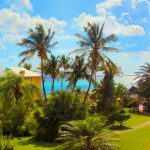 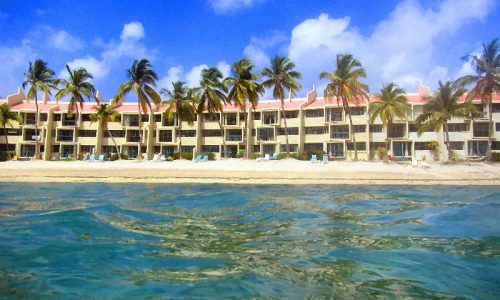 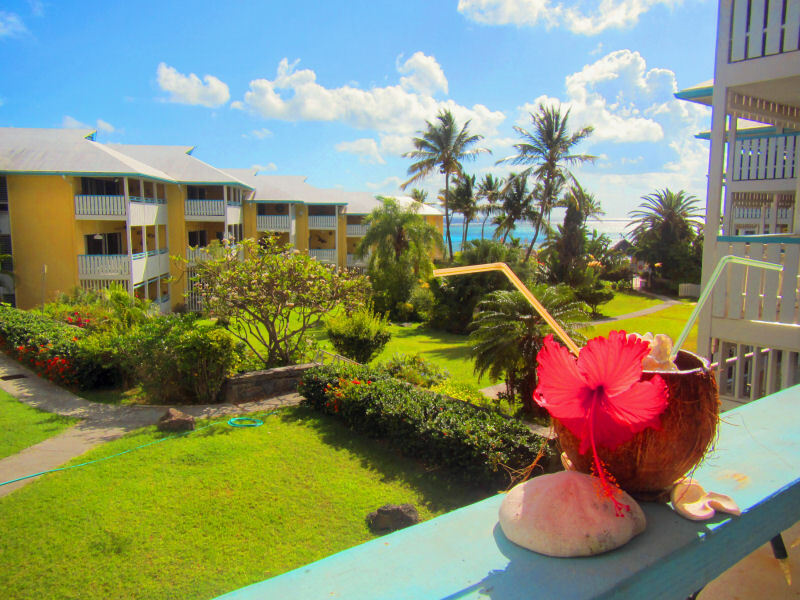 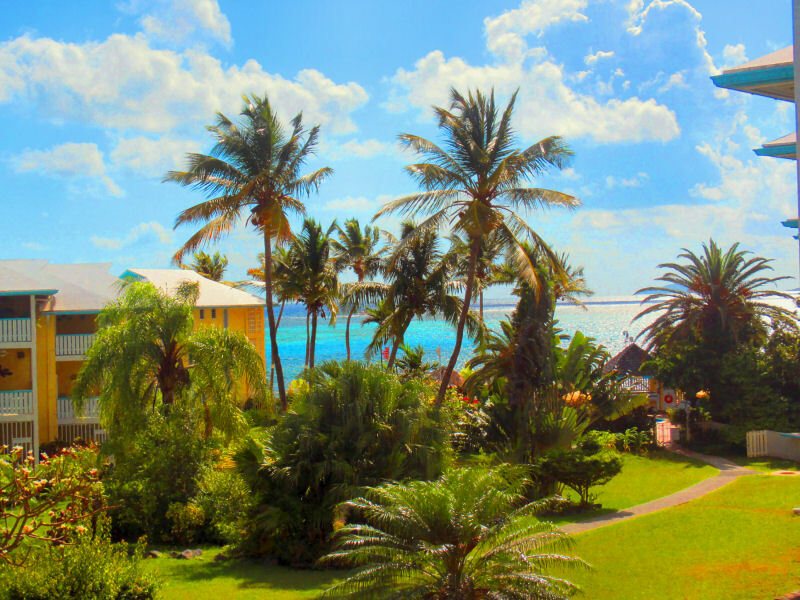 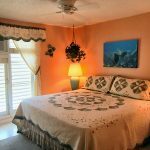 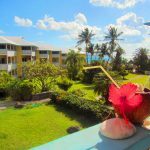 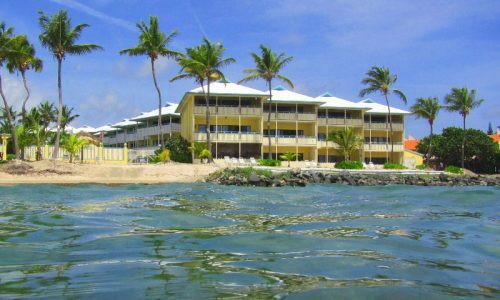 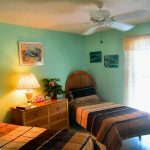 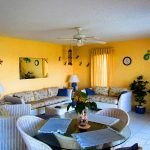 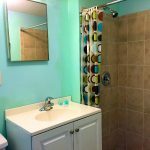 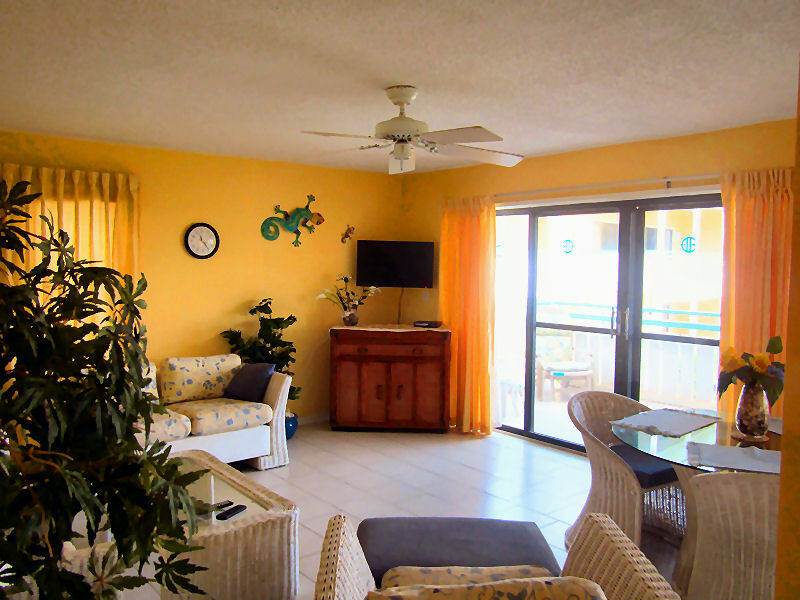 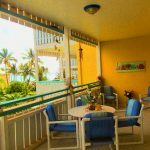 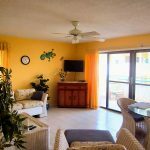 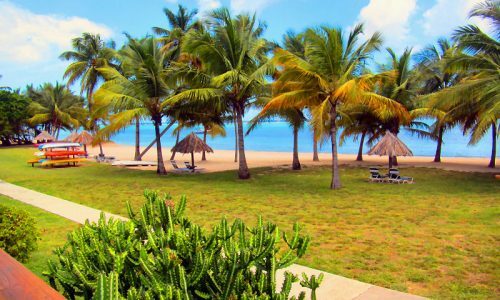 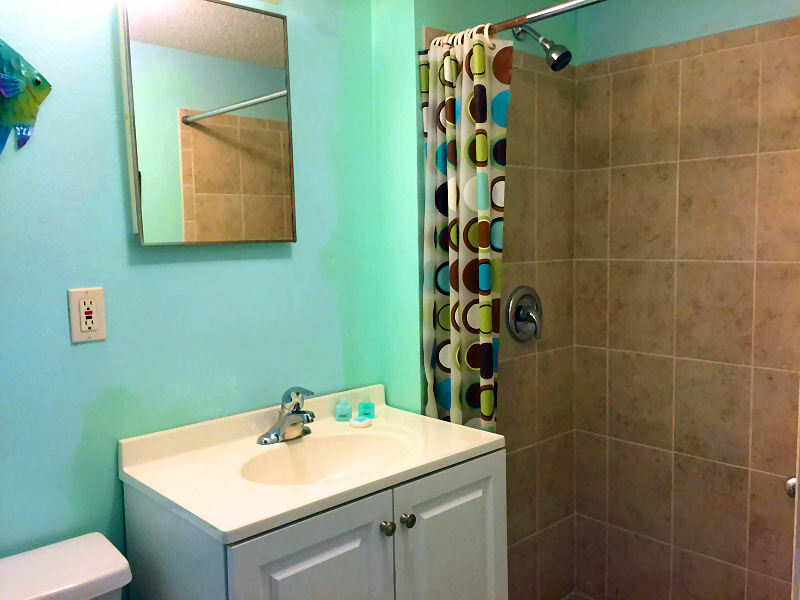 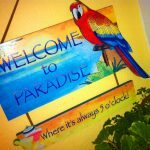 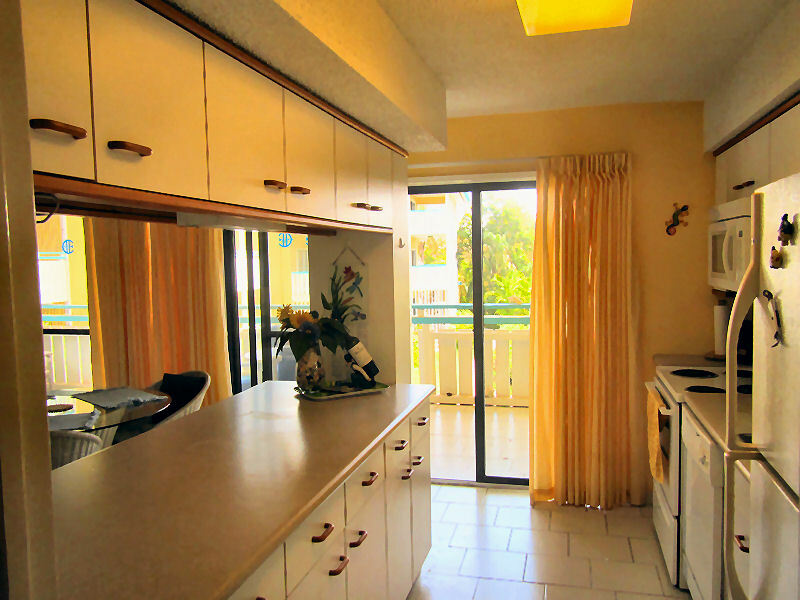 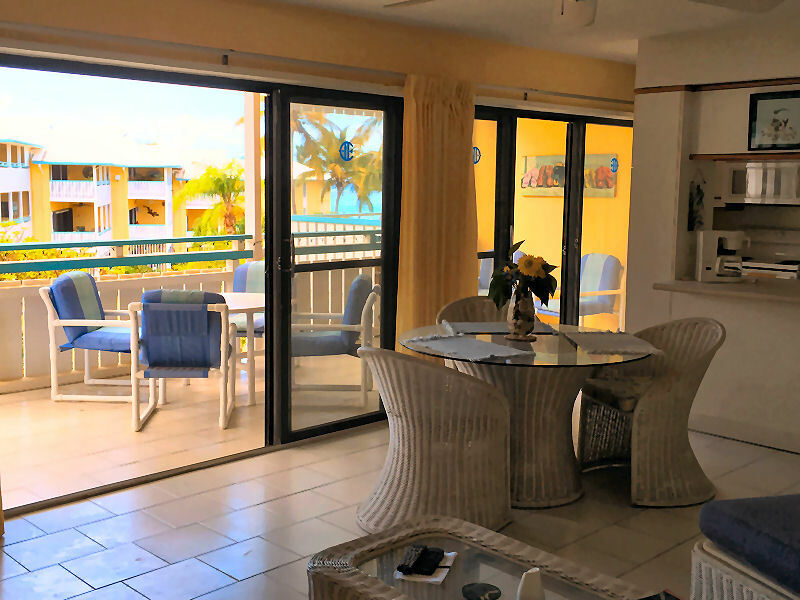 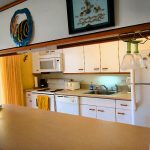 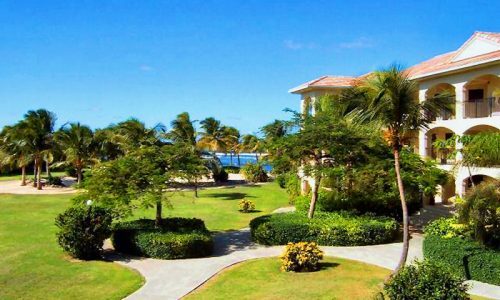 Our 2 bedroom, 2 bathroom unit is tropically furnished and enjoys great offshore breezes. 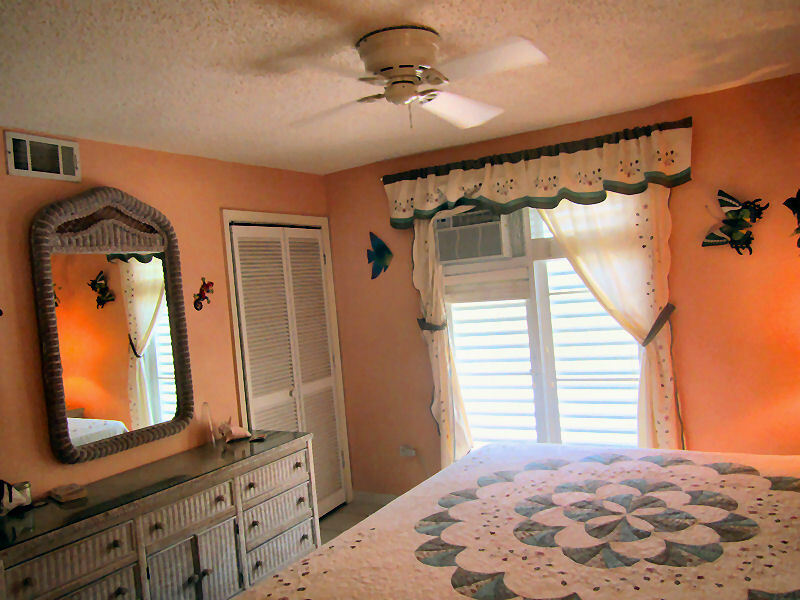 One bedroom has a king bed and the other has 2 twin beds that can be converted to a king. 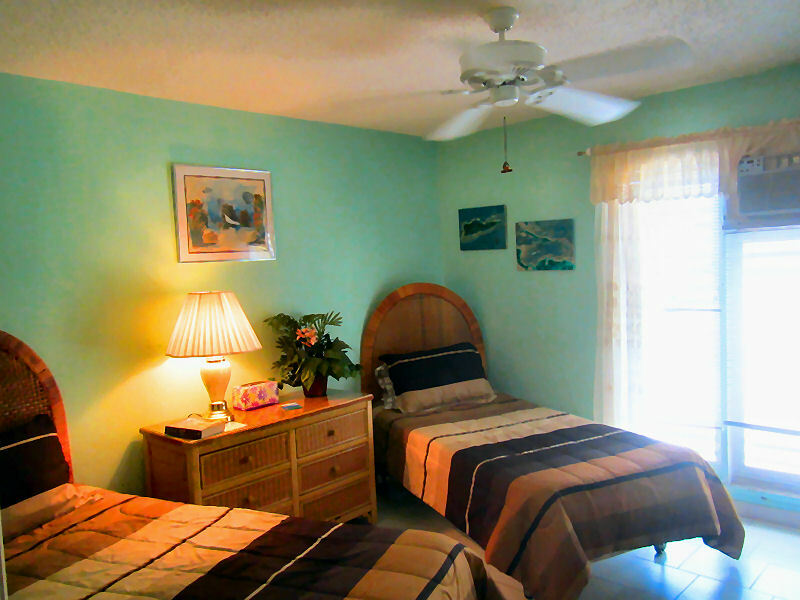 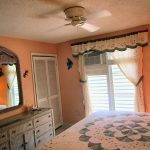 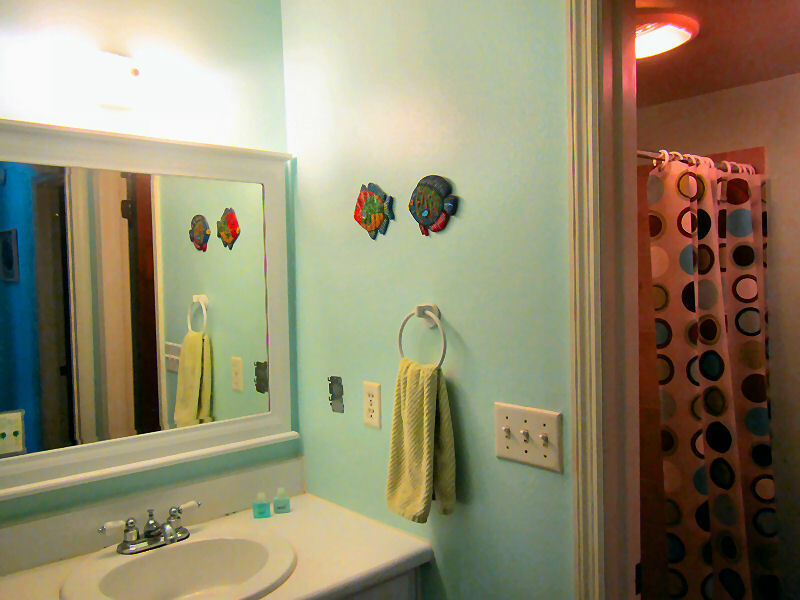 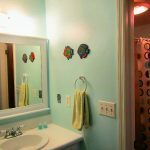 A/C and ceiling fans are in both bedrooms. 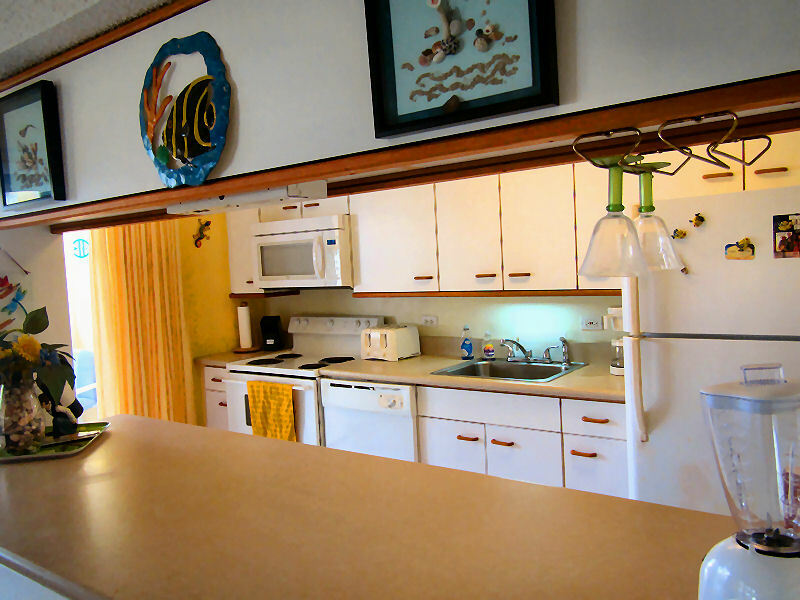 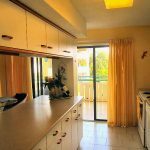 The kitchen comes equipped with all appliances,including a microwave, toaster, coffee maker and blender. 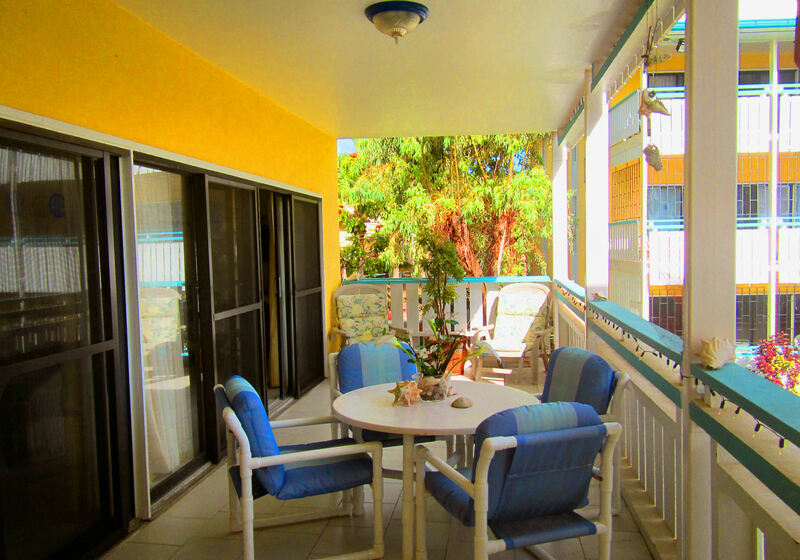 Inside dining for 4 and patio table/chairs outside for al fresco dining and cocktails. 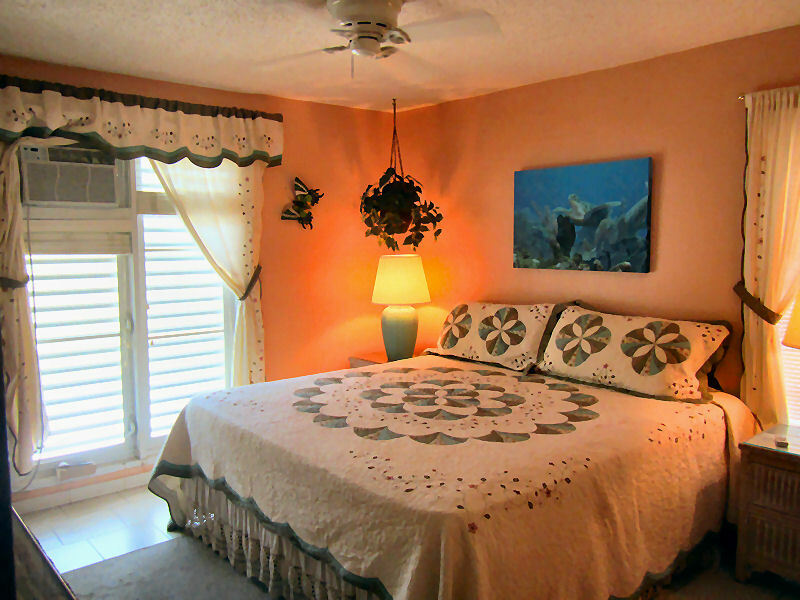 Beach towels are also available for your use.